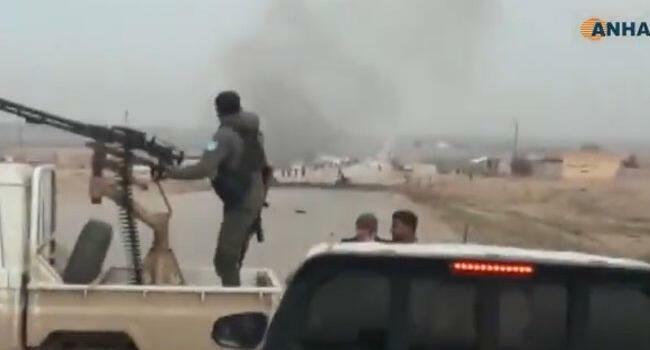 Turkey will start taking necessary military measures in Syria if promises over the protection of its borders and people are not kept, President Recep Tayyip Erdoğan has said, while vowing that Turkish forces will soon take control of the Manbij region in Syria from the United States. “We hope wholeheartedly that our talks with the U.S., Russia and other parties will be concluded with a mutual understanding. But that does not mean that we will wait forever. We are on our border with our forces and following developments closely. If promises made to us are kept and the process goes on, that’s fine. Otherwise, we inform that we have almost completed our preparations and will take steps in line with our own strategy,” Erdoğan said at a meeting with businessmen in Ankara on Jan. 21.
lthough he did not elaborate on the promises made, Erdoğan hinted that it was about the setting up of a safe zone along Turkey’s border with Syria to prevent what Ankara calls a threat from the YPG to the Turkish people and see YPG militants withdraw from Manbij in line with a bilateral agreement with the U.S.
Turkey has long been deploying troops and military equipment on the Syrian border for an operation against the YPG in the east of River Euphrates but delayed it after U.S. President Donald Trump announced last month the complete withdrawal of American troops from the war-torn country. Since then, Turkey and the U.S. have engaged in talks to coordinate the latter’s withdrawal from Syria and find a way to address the former’s concerns over the YPG. Erdoğan and Trump had exchanged their fourth telephone conversation late Jan. 20 in a month in which the two leaders reviewed recent developments on the field including a suicide bomb attack that killed four U.S. servicemen. Erdoğan expressed his condolences to Trump and described the attack as a provocation to influence the U.S.’s decision to withdraw from Syria. “President Trump underscored the importance of defeating terrorist elements that remain in Syria. The two leaders agreed to continue to pursue a negotiated solution for northeast Syria that achieves our respective security concerns. They also discussed their mutual interest in expanding the trade relationship between the United States and Turkey,” White House spokeswoman Sarah Sanders said in a statement after the conversation. 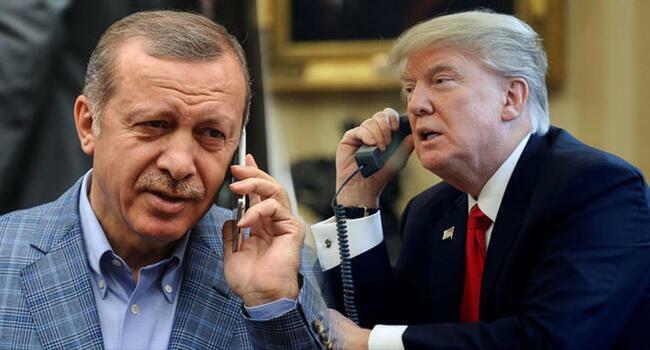 Erdoğan and Trump also discussed a road map that stipulates the withdrawal of the YPG from Manbij over the phone. The Turkish president assured Trump that Turkey was ready to take all measures to provide the security of the region. “We will provide the security of Manbij and then we will hand over [the control of] the city to its real owners. It should be known that we have no eyes on Syrian territories. 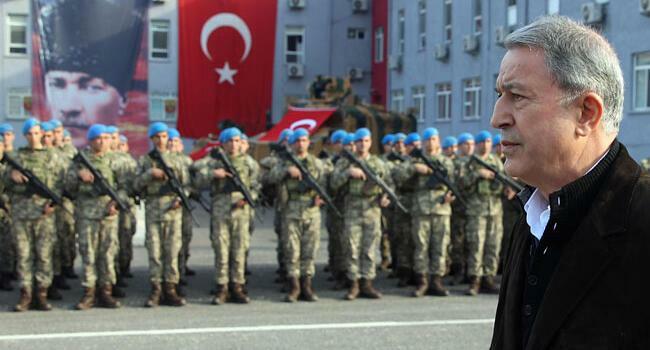 Syria belongs to Syrians,” Erdoğan said. Erdoğan said Turkey “provided peace, comfort and the return to normal life in Afrin, Jarablus and al-Bab by clearing these provinces of terrorists,” vowing it would do the same in the proposed safe zone along the Turkish-Syrian border. “Just as we have discussed with Mr. Trump; a security zone 20 miles [30-32 kilometers] deep [into Syria]. We have a trip organized to Russia on Wednesday and we will assess the developments in our region. We have vowed to provide peace for our Syrian brothers in these terror-free regions. If we hadn’t moved in Idlib, we would hear about the deaths of hundreds and thousands of people,” he said. But the security zone to be established inside Syria should not turn the region into Turkey’s adversaries’ shelter, just like it did happen in northern Iraq, Erdoğan said.